Design Lab showcases the new Samsung Galaxy with 3D motion art and experiential display. 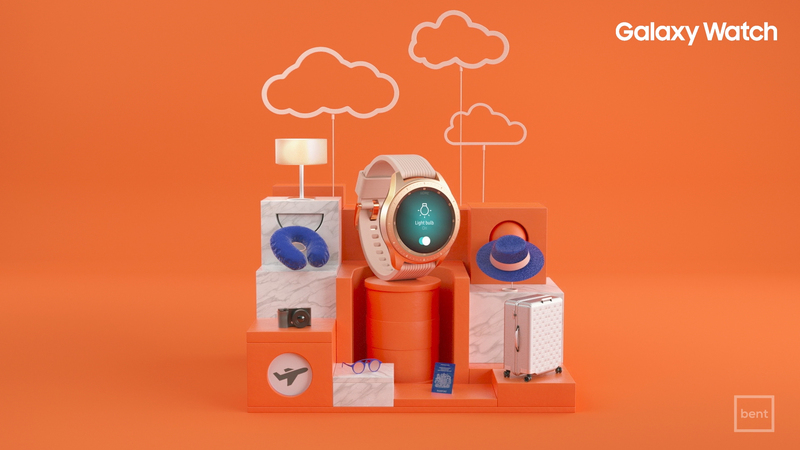 Designed in the key color scheme, each beautifully rendered 3D scene has well placed props and subtle animations that suggest themes of Work, Travel and Active Lifestyle. 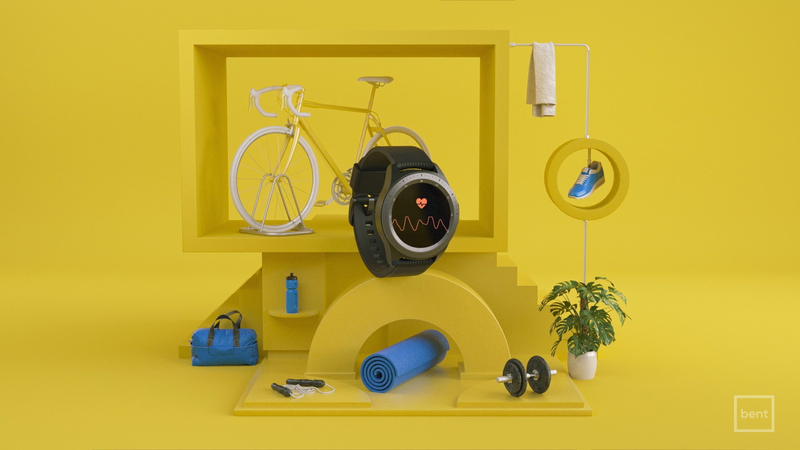 The Samsung Galaxy Watch is the centerpiece of each tableau. Placed within this monochromatic, minimalist setting, the watch is scaled appropriately to dominate each situation. 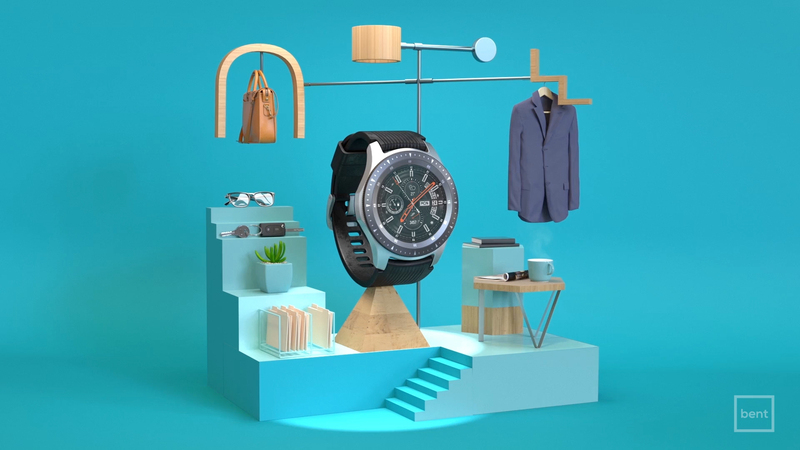 In tandem with the campaign, a practical miniature display featuring a genuine Galaxy Watch was constructed and exhibited in the flagship store.